Increased Solidarity with Unions at Netroots Nation, But at the Cost of Net Neutrality? This Netroots Nation in Minneapolis marked a turning point for the conference's relationship with organized labor. In the past, many have complained that the netroots and bloggers have failed to pay proper attention to labor struggles. This year there were many panels focusing on organized labor and several keynotes. Top labor officials like AFL-CIO Secretary Treasurer Liz Shuler, SEIU President Mary Kay Henry, United Food and Commercial Workers (UFCW) President Joe Hansen, and AFSCME Secretary Treasurer Lee Saunders appeared at the conference as keynote speakers. For the first time ever, Netroots Nation featured a special one day session called “Netroots Connect” where two dozen top activists met with representatives of SEIU, Communications Workers (CWA), United Autoworkers (UAW), UFCW, Teamsters, and United Farmworkers (UFW) and several of the nation’s top bloggers participated in an all day strategy session on how bloggers could better the organizing campaigns of top unions. Everywhere you went at the conference there was a plethora of union literature and union signs. The talk of Wisconsin and the fight back against right-wing union-busters was the main topic for many of the keynote speakers and among activists. All of a sudden labor seemed to be on the minds of many of those whose minds it had not been on in the past. The new relationship between bloggers and labor is a result of two things. The first factor is that in the wake of Wisconsin, many bloggers and netroots activists have been inspired by the labor movement. The second factor in the increased solidarity between labor and bloggers is a result of the increased financial support that organized labor is providing for bloggers. Organized labor once again provided the majority of financial support for the Netroots Nation Conference. Twelve out of the 18 premier sponsors were groups that represent union members or outside groups that are directly funded by labor unions. Many labor activists applaud the growing relationship between bloggers and organized labor. 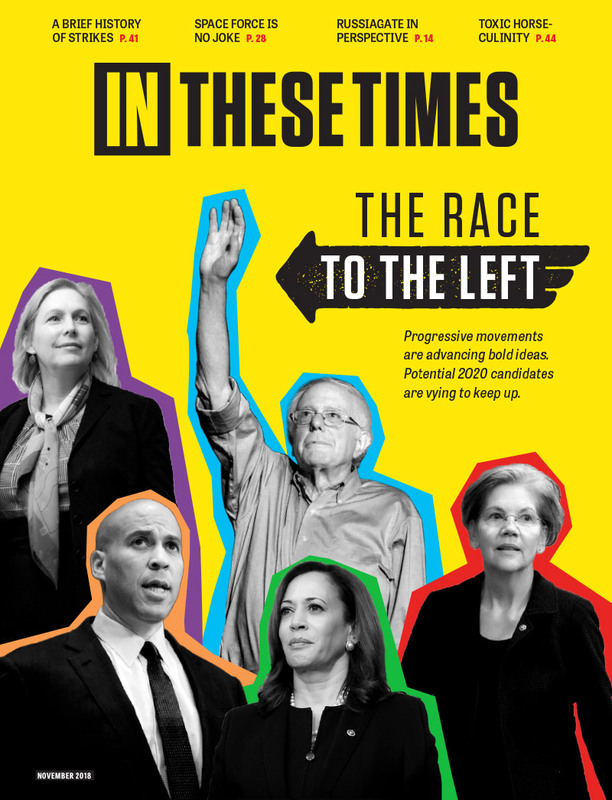 Others see such a relationship coming at the cost of independence from large groups and progressives leaders, the type of independence that led to the initial growth of Netroots Nation and the progressive blogosphere. “I've been to every Netroots since the beginning, and it's changed quite a bit. It used to be a sort of loose but energetic gathering of outsiders, and now it seems more like a rally for the Democratic Party institutions that the outsiders used to take aim at,” said Free Press Campaign Director Tim Karr. Karr points to net neutrality as one area where discussion at Netroots has been muted. One of the main sponsors of the Netroots Nation Conference – Communication Workers of America, who sponsored the wireless internet service, has long supported the AT&T position on net neutrality which is opposed to the views of groups like Karr’s. This year, unlike every previous year, there was not even a single panel on net neutrality and it was only mentioned briefly in passing in a speech from Senator Al Franken (D-MN). Netroots Nation Executive Director Raven Brooks denied rumors that net neutrality was not talked about more as a result of the sponsorship of large unions like Communications Workers of America. “Tim’s group just had a big conference on net neutrality two months ago in Boston. We felt it would have been overkill to focus on it so much,” responded Brooks. Others claim that not only has discussion of net neutrality been sacrificed by Netroots Nation as it gains more financial support from organized labor and other large progressive groups, but they also question some of the groups participating in Netroots Nation altogether. While SEIU President Mary Kay Henry was featured as a keynote speaker and SEIU Secretary Treasurer Eliseo Medina was given an award during the conference, labor journalist Steve Early, author of the book Civil Wars in U.S. Labor (and a Working In These Times contributor), was denied the opportunity to speak at the conference. While there were many panels on organized labor, there were no speakers on those panels who were critical of organized labor’s leadership in any way, shape or form. The netroots community was born out of a frustration with a Democratic Party that would not stand up to George W. Bush. It helped elect Howard Dean Chairman of the Democratic National Committee against opposition from large inside the beltway progressive institutions. Now, as Netroots Nation seeks funding from those same institutions including organized labor, it remains unclear what level of political independence the leadership of the netroots community will be able to maintain. Also, it's disturbing to read that Steve Early "was denied the opportunity to speak" at the conference. Early is one of the finest journalists on the labor scene today, and should not be denied the opportunity to speak just because he has been critical of a handful of influential labor leaders. So, basically this is the union officialdom teaming up with the big bloggers with the primary goal of campaigning for the Democratic Party in the next general election - am I right? As usual, union members got to pay for this party, but we were very pointedly NOT invited! Interesting story, Mike. Frankly, I don't see any real sign of "a growing relationship between bloggers and organized labor" and the net neutrality debate is a prime example. CWA, Teamsters, etc. will support the AT&T position and it doesn't make the slightest bit of difference to them what the Netroots Nation thinks. This is not the basis of a stable, long-term relationship.